With the completion of the major works on the western part of the line last October, including the replacement and relocation of Forres Station, the lengthening of the platforms at Elgin and the upgrading of the signalling between Inverness and Keith , attention has turned to the doubling of the track from Aberdeen to Inverurie and the associated signalling. 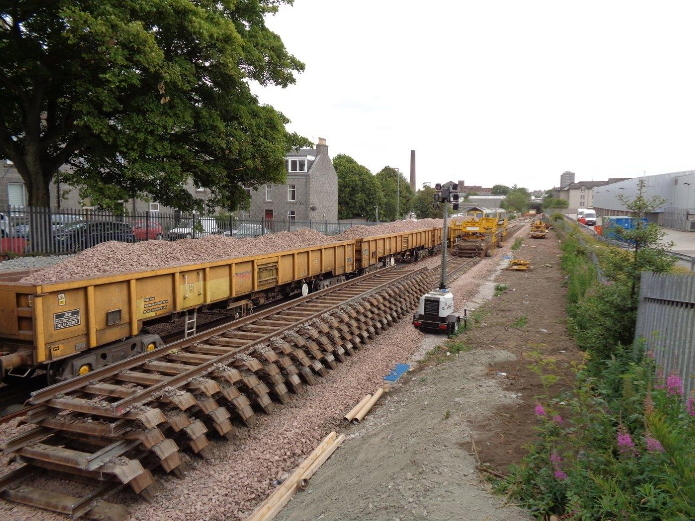 Don Street, Aberdeen - wider trackbed being formed. The first of the two 'blockades' needed on the railway has now come to an end. The second is scheduled to take place between May and August next year. 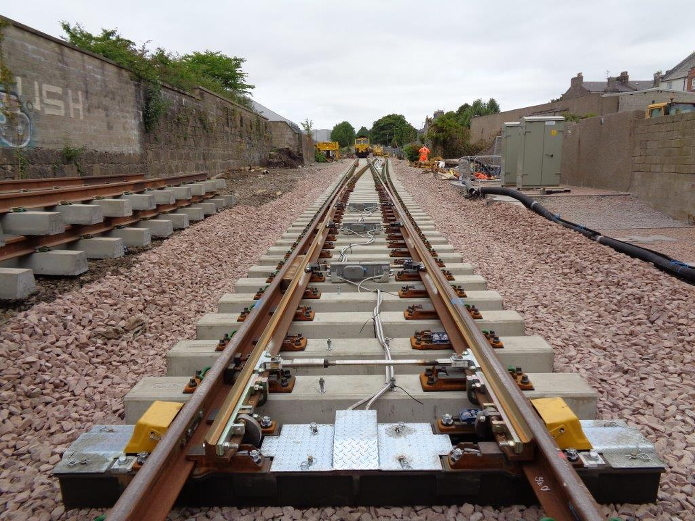 This year's closure was to enable installation of new second track and signalling equipment between Aberdeen and Dyce. 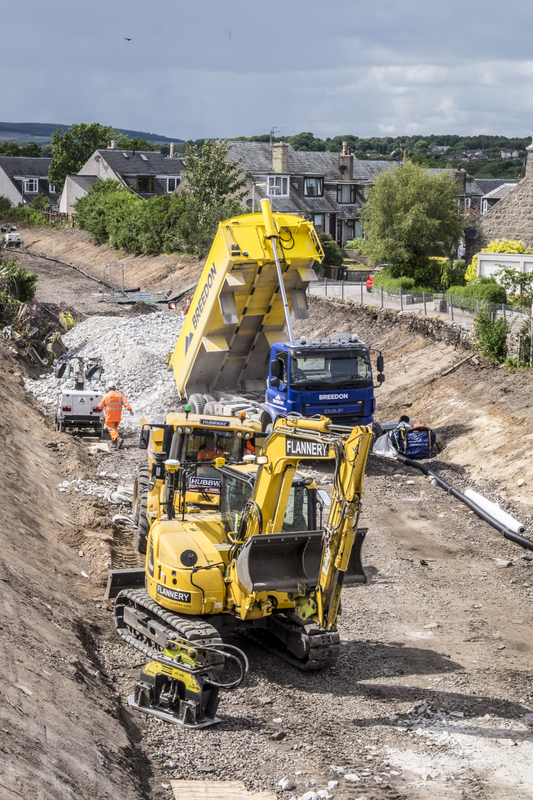 Next year's is needed for extending the double track from Dyce to Inverurie and the installation of the necessary signalling equipment. 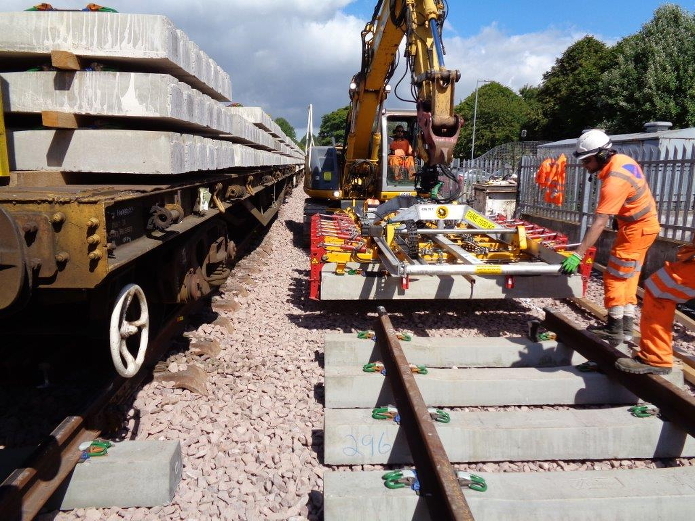 Network Rail's Twitter feed has carried progress reports and pictures. 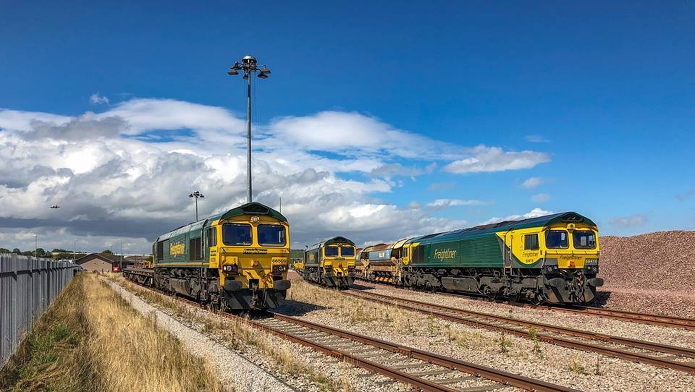 NR kindly supplied the photographs for this feature. 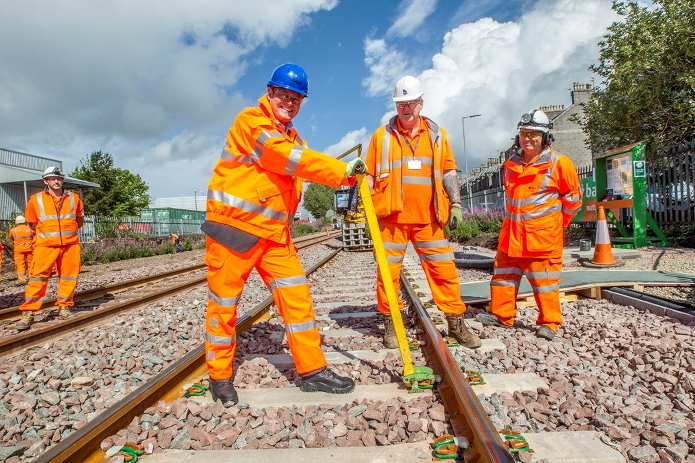 By 6th July a new set of points had been laid at Kittybrewster in Aberdeen. 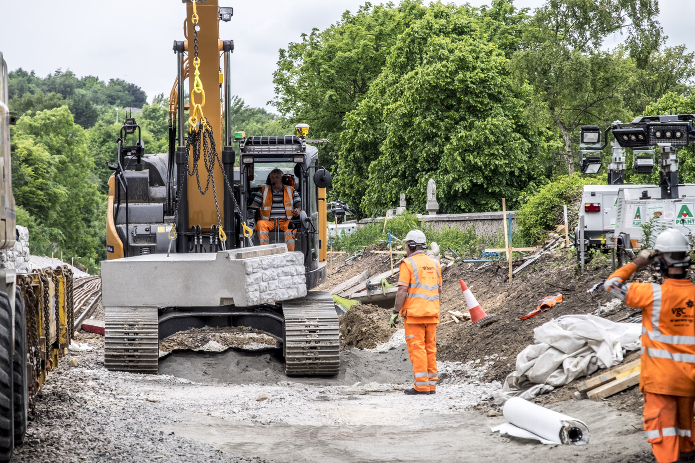 Alex Hynes, Managing Director Abellio ScotRail Alliance, putting in the final clip on the redoubled track between Kittybrewster and Dyce.